Jan. 11, 2018, 9:47 a.m.
By Christine Schmidt @newsbyschmidt Jan. 11, 2018, 9:47 a.m.
City Bureau is trying to make public hearings matter again — or at least, noted by the public and somewhat reported on — and is bringing its approach to a new city for the first time. 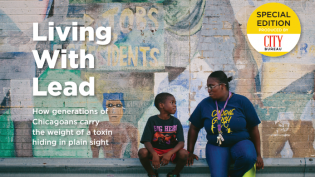 Started on Chicago’s South Side in 2015, the civic media lab — distinct from the fondly remembered Chicago City News Bureau — has been forging a new model in engagement and local journalism. Now they’re piloting their first outreach to a new city with WDET, Detroit’s public radio station, by introducing their Documenters program to get regular residents to pay attention to public information in the Motor City, supported by a $50,000 grant from the Detroit Journalism Engagement Fund. Documenters is one of three linchpins to City Bureau’s model, in addition to its reporting fellowships for youth, pre-professional journalists, and mentor journalists and its regular Public Newsroom discussions and trainings on various topics open to anyone. (City Bureau gets funding from a mix of foundational grants, publishing revenue from the reporting fellows’ work — the fellows receive a stipend — and its membership program, of which I as a Chicago native am a monthly supporter.) Documenters emerged in April 2016 as a collaboration between City Bureau and civic tech organization Smart Chicago to sort through hefty documents, such as the city’s police accountability task force report, and other projects that tallied 700 hours of Documenters’ time. But now Holliday and his team are refocusing Documenters toward recording public meetings, offering training and even some payment per hour for Documenters assigned to particular meetings or departments. In documentation of the meetings, they note details such as topics discussed, the amount and affiliations of people present, and the atmosphere of the meeting room. The Chicago Documenters program has 300 participants, aged 16 to 73, with a racial representation close to the city itself — though they’ve only recorded three dozen meetings in two years. Holliday said the past year has been an experimentation phase and they plan to build it out more robustly in 2018 while simultaneously designing and testing the concept in Detroit. Detroit trainings should begin in mid-2018. Also, City Bureau’s collaboration with ProPublica Illinois on an aggregator of public meeting logistics and information has been in the works since mid-2017 and should be open to the public by June, Holliday said. Data from both Chicago and Detroit public meetings will be scraped and hosted on the site, and future locations could be added to the tool in the spirit of bringing the bureau’s model to a city. The pilot project will begin with one-on-one interviews with community organizers, community reporters, and other Detroiters already involved in public meetings and/or advocates for public access to information. WDET will also host Public Newsrooms later this year and work with community events and gatherings to spread its impact. “It’s important to us that we are not duplicating efforts and are able to reach people on a neighborhood level who feel underserved, ignored or misrepresented by local media,” Srbinovich added. I think there’s some perceptions of public radio programming where you just have to pick one: Well, you’re a news station, so you just do news. But how do you get people interested in those stories? 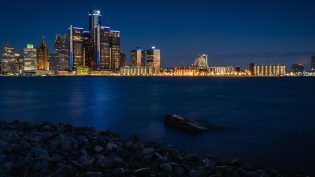 In a region like Detroit, that’s been divided economically and racially — and this is historic division, it’s not something new — and now you have new people coming in, people who weren’t living in the city becoming interested in the city. What’s going to unify those people? A lot of time it’s not the news. The news can be pretty divisive, especially in an election year like the one we’re having now. So how do you create spaces where people can find some common ground? There’s certainly a way to do that with news programming by being conversational and including different perspectives, presenting news in a way that humanizes different people as opposed to just talking about the issue in a traditional way with newsmakers and the powers that be. But even before that, I feel like cultural experiences create more of a social cohesion that makes people realize and have context for who lives here and other people’s realities and finding common ground around music, art, or film and then suddenly paying attention to the issues that you hear about in different ways. But the city, recovering from the crash of the auto industry that was the cornerstone of the Motor City for decades, is encountering “meeting fatigue” among its residents, according to Holliday and Srbinovich, as group after group has pledged to study and support the deflated metropolis. So how can City Bureau and WDET convince Detroiters to become Documenters? In an era of slowly shrinking public information and disagreements on facts, Holliday is emphatic that showing up to public meetings is as crucial as ever. 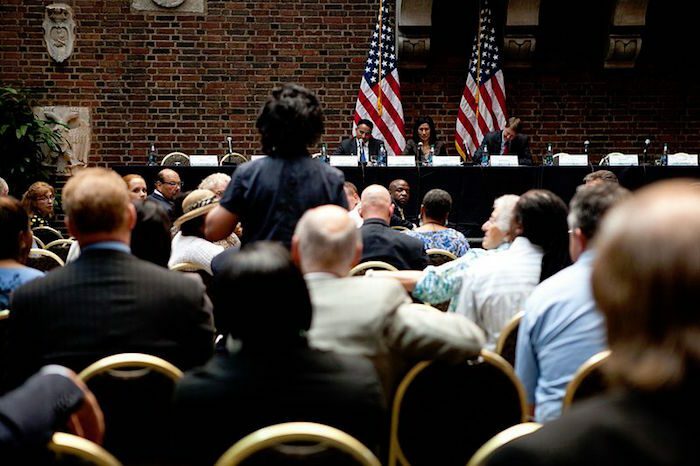 Image of an individual speaking at a Detroit field hearing on credit reporting in 2012 is used under a Creative Commons license. POSTED Jan. 11, 2018, 9:47 a.m.
Schmidt, Christine. "It’s not “citizen journalism,” but it is “citizens taking notes at public meetings with no reporters around”." Nieman Journalism Lab. Nieman Foundation for Journalism at Harvard, 11 Jan. 2018. Web. 18 Apr. 2019. Schmidt, Christine. "It’s not “citizen journalism,” but it is “citizens taking notes at public meetings with no reporters around”." Nieman Journalism Lab. Last modified January 11, 2018. Accessed April 18, 2019. https://www.niemanlab.org/2018/01/its-not-citizen-journalism-but-it-is-citizens-taking-notes-at-public-meetings-with-no-reporters-around/.